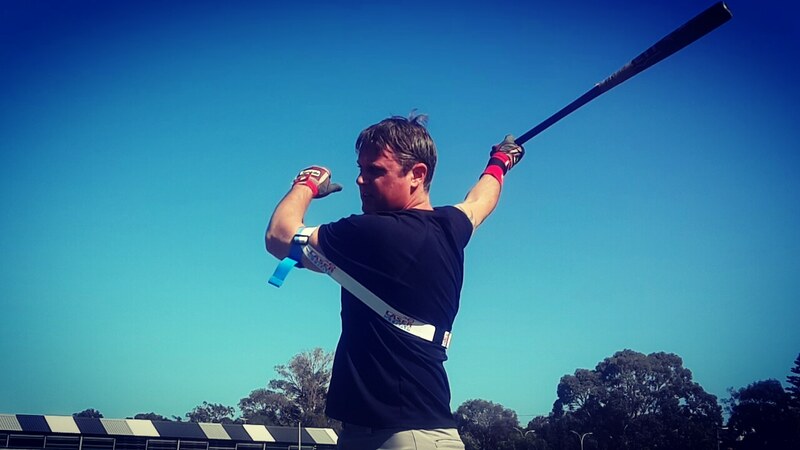 Two primary muscle groups our power batting aid strengthens are conscious, for example, deliberately raising your elbow ten times in your batting stance. Secondly, subconscious (automatic or involuntary), occurring in a blink of an eye. Muscles strengthening during Laser Power Swing Trainer drills arise during a subconscious/automatic state, hitting as usual. Our globally patented Exoprecise technology triggers automatic muscle contraction of your power hitting muscles. 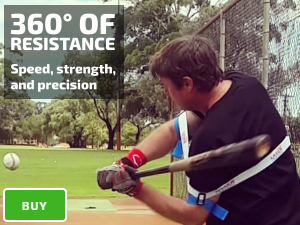 The revolutionary design of our power swing trainer provides the perfect balance of resistance, using too much resistance and your conscious muscles burn out quickly, not enough; and hitting becomes a useless exercise. 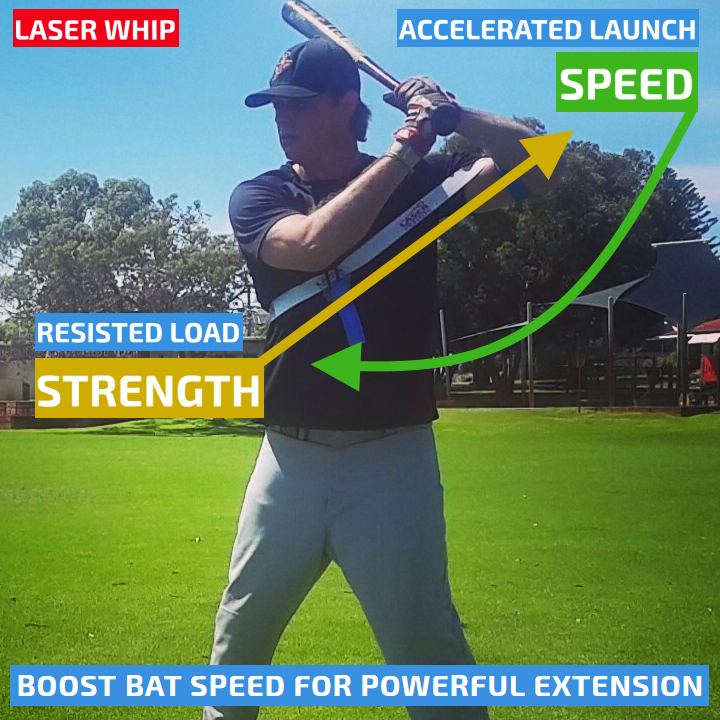 Automatic muscles are durable, less prone to fatigue; therefore during batting practice you’re unknowingly working out your power hitting muscles. The next day or two, you’ll feel your power hitting muscles strengthen; deep intrinsic/core muscles, intercostals, top forearm muscles, rear deltoid acceleration, and deceleration muscles. How do I know this? Because I use the Laser Power Swing Trainer everytime I hit.